It’s time to let your lawn breathe, re-energize itself and start receiving the nutrients it deserves. Allows air, water and nutrients to penetrate the grassroots. Breaks up excess lawn thatch and heavy organic debris buried under the grass surface. Produces a stronger, more vigorous lawn. 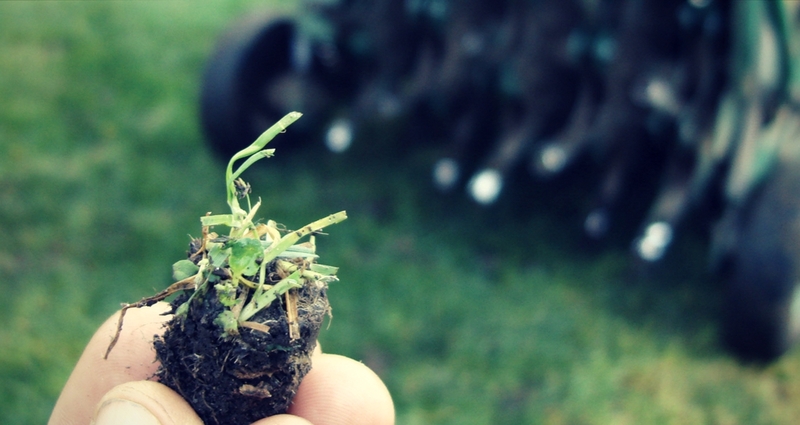 The best time to aerate your lawn is during the growing seasons of Spring and Fall. Over-seeding is always a great idea when combining with aeration. If you are unable to do this yourself, contact a seasoned pro to take care of this important step for you.